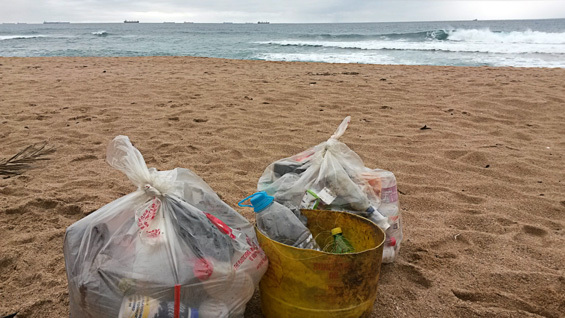 As surfers we love seeing trash being picked up from our beautiful beaches, and it’s great to receive evidence from fellow ocean users doing exactly that. 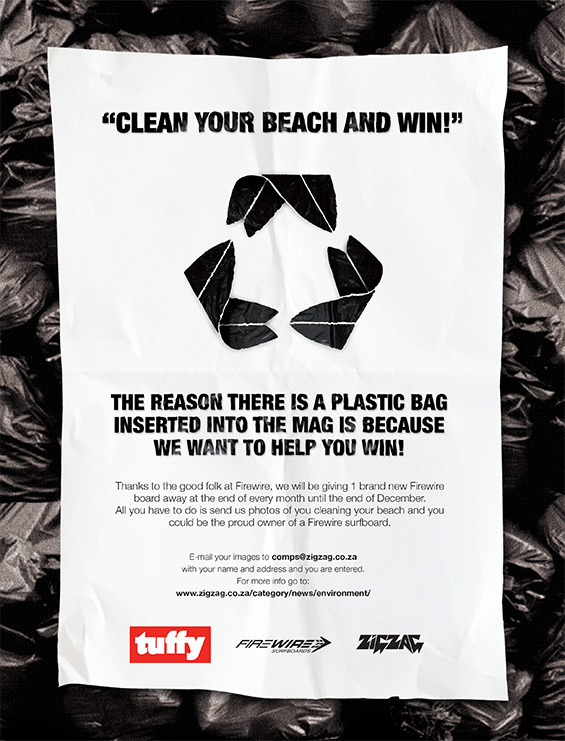 You’ll be receiving free 100% recycled Tuffy bags in Zag issue 39.8, but until then you can grab your own and put in some elbow grease to stand a chance to win a brand new board every month compliments of Firewire and Share the Stoke Foundation in our Tuffy Beach Clean-Up competition. 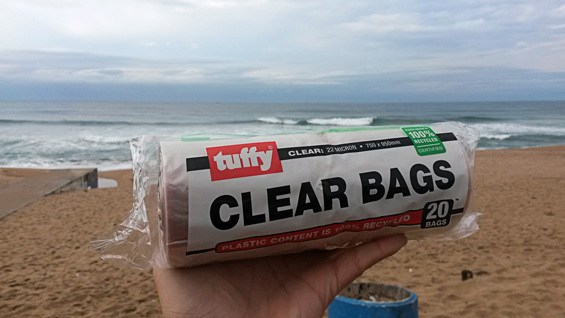 All entries into the Tuffy Beach Clean-Up will be posted online, and below you’ll find our first submission sent in this past weekend by Durban’s Bryan Paynter. Watch Bryan get to work with this time-lapse of him cleaning up his local.